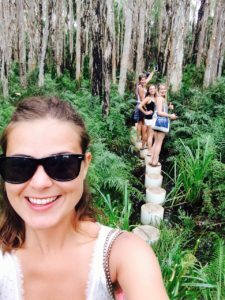 If you are planning backpacking the East Coast of Australia here is a list of unforgettable things that you must do on your trip. Because Australia’s East Coast has plenty of unique things to do. It’s a land of endless summer and an easy life, where the adventure is following you constantly. It’s extremely backpackers friendly and has the most picturesque views and exotic wildlife – kangaroos, wombats, koalas and spiders. Shortly it’s a perfect destination for a trip of a lifetime. But before you plan to visit Down Under check the essential packing list for Australia so you will be prepared for everything! There are numerous options to explore the vast expanses of Australia. 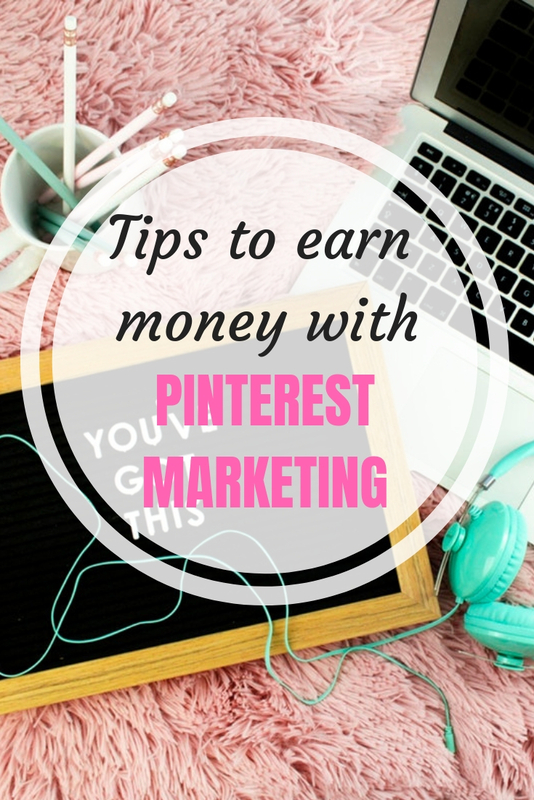 It all depends on your preferences and budget. The most flexible cost efficient way is to acquire a hop on hop off bus ticket. This will allow you to go to most areas of the country at your own whim. You never know where you would like to spend more time and to see the best of it. For the impatient travelers another opportunity to come from A to B would be by plane. I generally avoided flying unless I was pressed by the lack of time. Flying is an expensive treat due to limited competition of the companies. You can get lucky and find cheap tickets though. There is also a good website, that will help you to find the cheapest solution: Skyscanner. 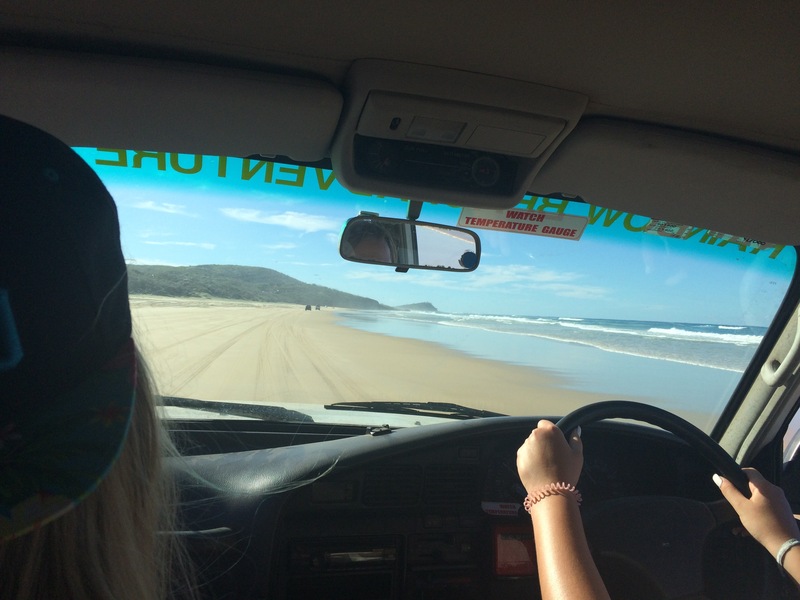 The cheapest and best way to travel Australia is purchasing a car or a van with the group of friends. Australians are driving on the left side, so most UK visitors will feel comfortable with that. Used cars are relatively inexpensive to buy the simple reason is the high amount of the backpackers cars are available in wide variety. Insurance is not a must though I would recommend to get it: Australia’s wildlife do roam around the highways blindly especially at night. Furthermore petrol prices are more than acceptable. By the end it makes cruising around a delightful experience and gives you a complete feeling of freedom. Important to mention to buy a car is a good investment, you will always find someone to buy it off you. My bus reached my first destination on my Australia’s East Coast 2 weeks itinerary at 1 a.m. so it was dark and furthermore it was raining. I didn’t have any clue where I was nor where my booked hostel was. But traveling contains out of serendipitous moments: the old lady went out of the same bus with me and was taking a taxi, so she offered me to bring me to my hostel. 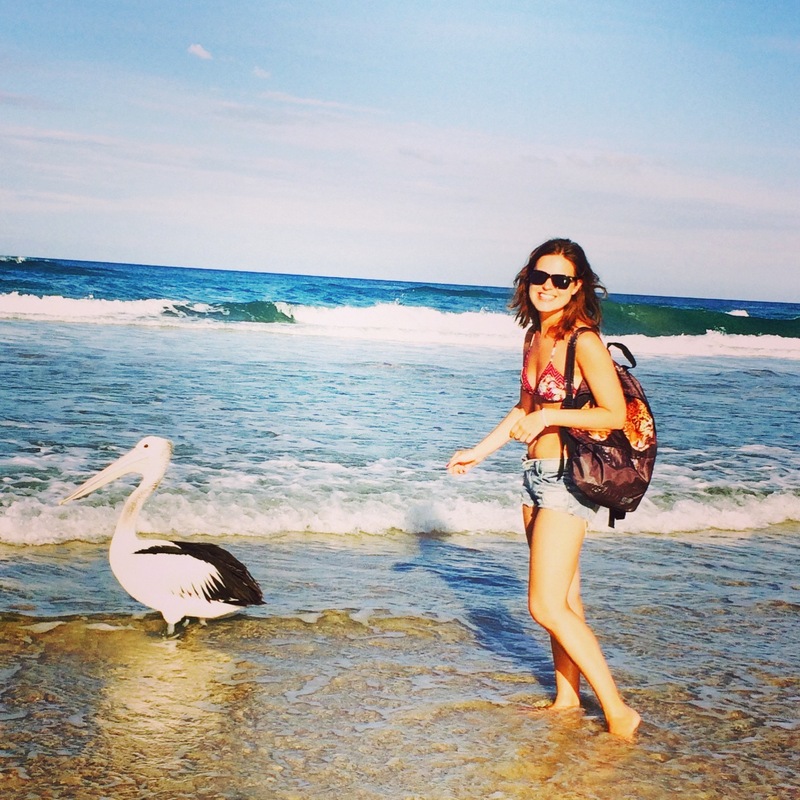 I was welcomed in one of the most friendly and cozy hostels in Australia, Beachside Backpackers. It’s a very artistic and kind place, so immediately I got to know adorable people, had some drinks and sweet chats. Port Macquarie has very relaxing atmosphere, where you can go to the beach and catch some waves. 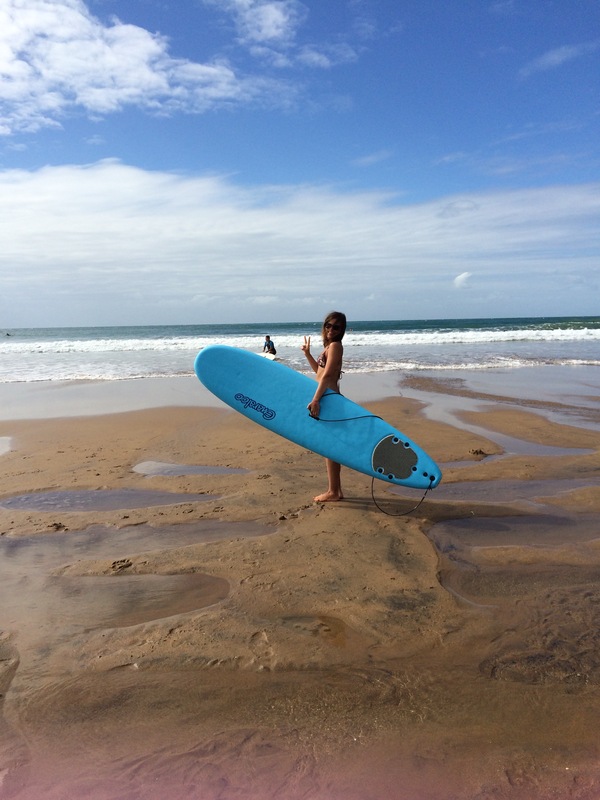 The hostel will even provide you with free surf lessons, so don’t lose that chance! 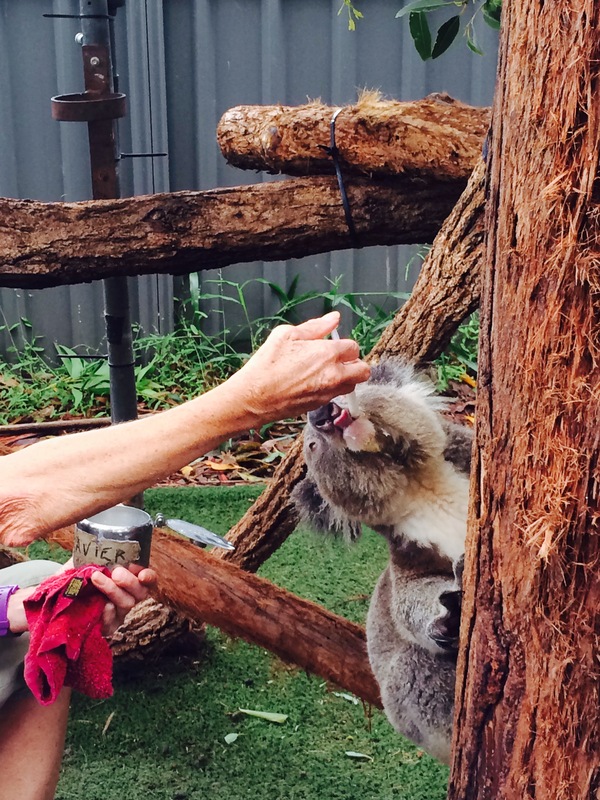 If you love animals, then go visit the Koala Hospital, where you can participate in the tour and see how koalas get fed. The tour guide will also explain what the reasons are that brought sweet fluffy marsupials into their care. After that you can walk around and explore the nature of that lovely town. 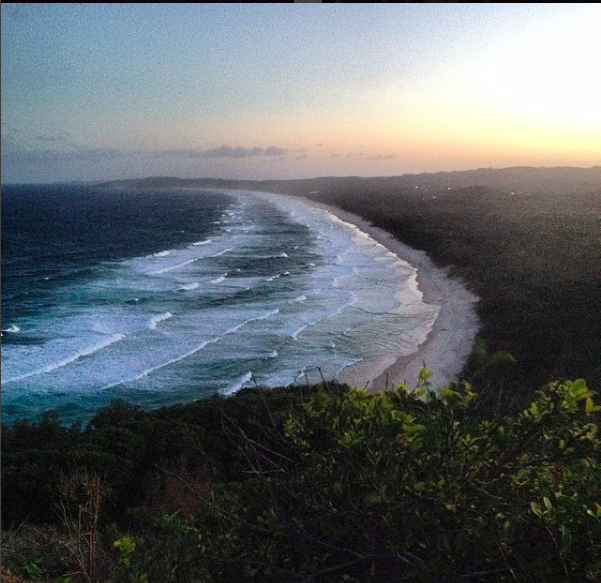 Byron Bay is the must see place on the East Coast of Austrlia. Byron Bay is a small town with an epic hippie atmosphere and gorgeous views of the natural credentials, sea and beautiful beaches. The first impression of Byron Bay may leave you wondering why everyone is so crazy about that place. The beaches are nice, but you can find more beautiful spots in Australia. Give yourself time, because Byron Bay is about vibes, you will feel them just after a couple of hours. Very important to mention you should book your hostel one or two weeks in advance, because Byron Bay has a great reputation and it’s always filled with people. The 2 most popular hostels are Nomads and Arts Factory. Nomads is in the heart of the town and offers a lot of entertainment every evening. Arts Factory is a bit different kind of hostel, it’s a typical hippie place surrounded by friendly and easy-going people. It’s not so clean as Nomads but you will experience unforgettable sensations. It offers various workshops, artworks, live and fire shows. You will never get bored in Arts Factory. 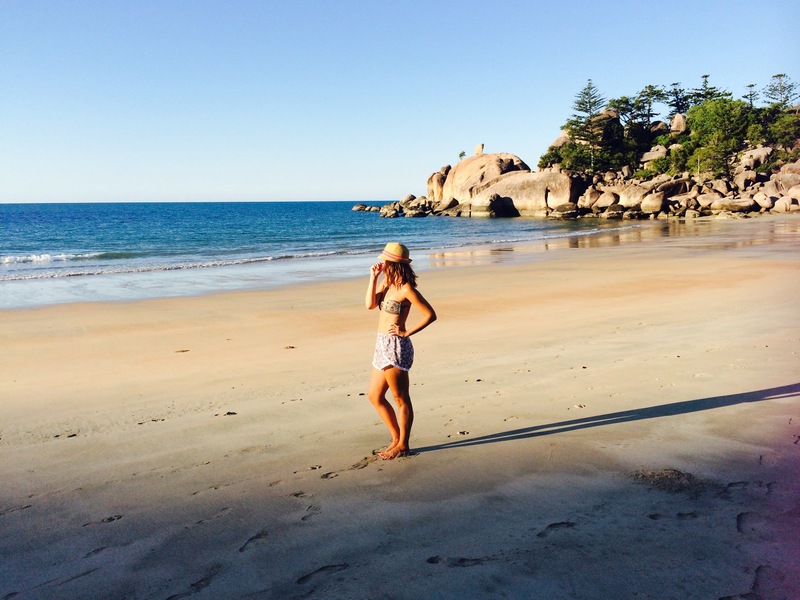 Byron Bay has marvelous beaches, where you can take surf lessons or just admire the beauty of the nature. If you take the Cape Byron walking track you will hike through the rainforest and across clifftops, you may even see dolphins jumping out of the water. You will need a good 2-3 hours to do that walk, but it’s absolutely worth it. By the end of the walk you will reach the famous lighthouse of Byron Bay. During the day the town is low-rise and carefree, so you can enjoy fine food, great coffee or interesting designer shops. If you want to get an appetizer of the Byron vibes listen to that lovely local musician, Ziggy Albert. In the evening you can enjoy the raucous nightlife with crazy people. 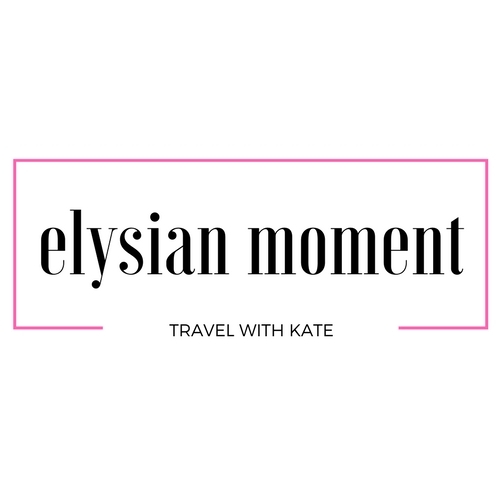 You never know what can happen in Byron Babe and your trip to Australia is doubtlessly not complete without staying in that magical town. I will warn you from the very beginning: the name is an irony, Surfers Paradise is the worst place for surfing. It’s the center of the Gold Coast and artificially based pure entertainment and tourism spot. It’s very famous for it’s SkyPoint Observation Deck, that offers you the 360 degree view from the 77th level. 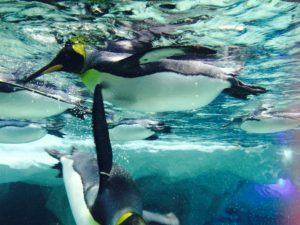 There are also plenty of amusement parks like Movie and Sea World. It sounds like fun, but don’t forget it’s very pricy. There are also numerous options for restaurants, which are more focused on fast food. If you are interested in nightlife, maybe it’s something for you. You can go out every night, there are plenty of clubs, which play withal the same music every night. I stayed at Sleeping Inn Hostel, which is totally fine. Unfortunately I’ve spent 2 weeks in Surfers, my honest opinion though 1-2 nights would be sufficient. 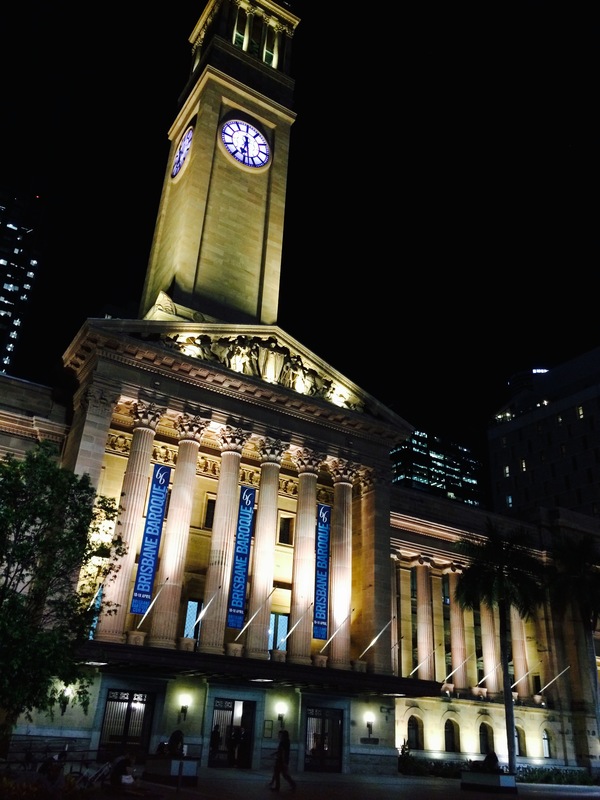 Brisbane is the capital of Queensland and the third most populous city in Australia. Furthermore it’s Australia’s self-proclaimed “Sunshine state”. I decided to stay there for 2 nights and my idea was to try out Couchsurfing, because the best way to get in touch with the locals is to live with them. By the end it was a great idea and marvelous experience. Australians are happy to share their house and food with backpackers in exchange for some nice company or cooking your national meal for them. It may sounds suspicious but Couchsurfing Down Under is a very safe way of staying the night and getting some well earned rest. I got to know amazing people, who showed me the country from a local perspective. I will be honest, I didn’t like Brisbane at all and I think there is no reason to spend time in this city. 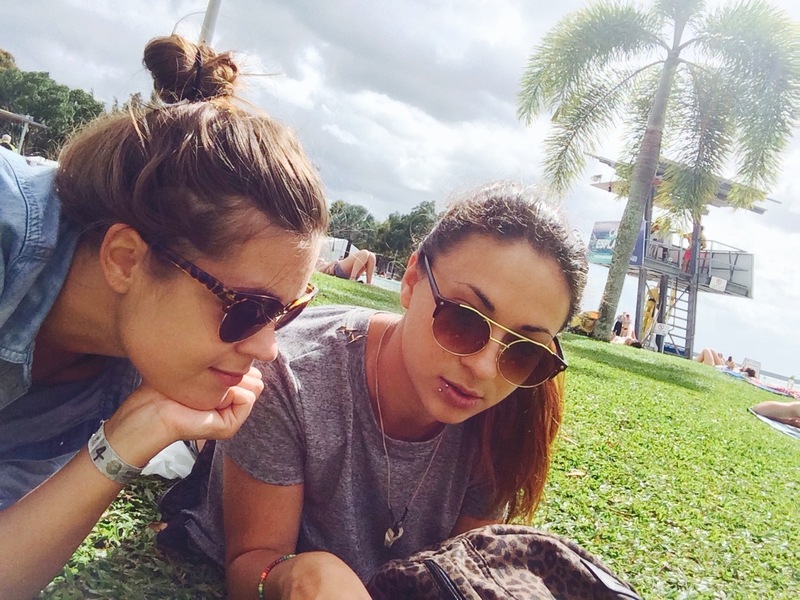 Yes, for sure it has wonderful places to see like Southbank Parklands with it’s beautiful garden filled with flowers and palms, interesting inner city beach or stunning Brisbane Botanic Gardens, which is huge and located directly in the heart of the city. And yes you can admire the lights of the skyscrapers at night, but the atmosphere of the city doesn’t feel right. If you compare Brisbane to Melbourne or Sydney, then you have a feeling that the village is trying to be cool. Deep in my heart I’m a big city girl and I like it when you can feel life, good vibes and something is always happening around you, I didn’t have that particular sense in Brisbane. It was like the city doesn’t have a soul. Noosa is another great place when you travel the East Coast of Australia. You can enjoy wide amazing beaches, catch the perfect wave and have a walk across the National Park’s cliffs and forests. The walk through the picturesque coastline of the park is divided into different sections where you can discover numerous natural treasures like koalas relaxing high on the trees or dolphins jumping happily in the sea. The track ends with the Hell’s Gates, the end of the coastline with spectacular ocean views. There is a beautiful Laguna Lookout Spot, which is a short walk from Hasting St. It’s a great spot to watch the sunset with your friends. Conclusively Noosa is a great touristic place with nice coffee shops, various dining possibilities and a modern shopping area. It’d be a good idea to send a postcard to your beloved ones when you are there. I stayed in Nomads Backpackers Noosa Hostel, which is located in the heart of the town. 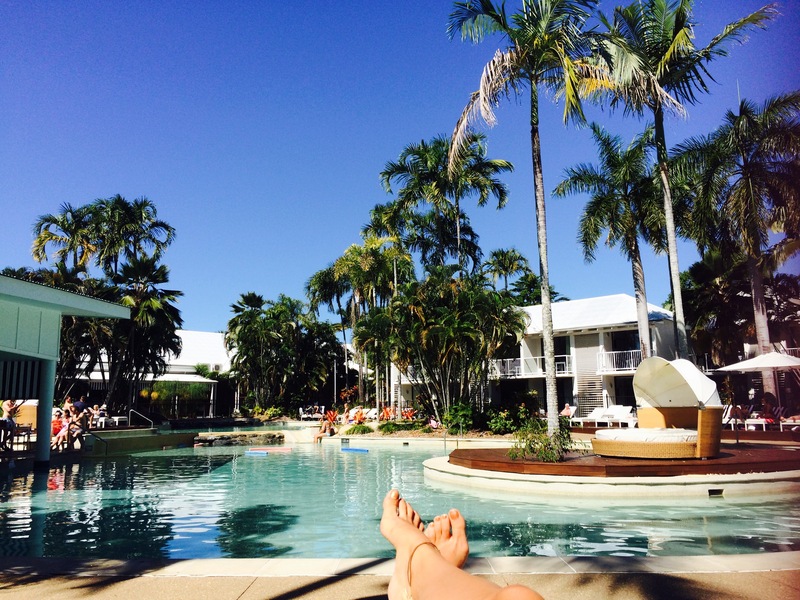 There are not so many options for a not pricy accommodation in Noosa, so Nomads is totally fine. They provide you with the information about the lovely town and entertainment such as live-shows and grill parties for free. East Coast of Australia Must Do! 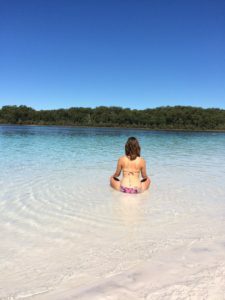 If you want to explore hidden natural secrets of Noosa then you definitely need to experience the self-guided kayak tour through the Everglades. It’s an ancient waterway with mysterious and tranquil waters which you can explore on your own. Even if you’ve never done kayaking, I can tell you there is nothing difficult about it and by the end you’re going to love it! I would suggest you to do a 2 night-tour. It’s two nights camping in the forests of Australia with all equipment provided and great adventurous people. 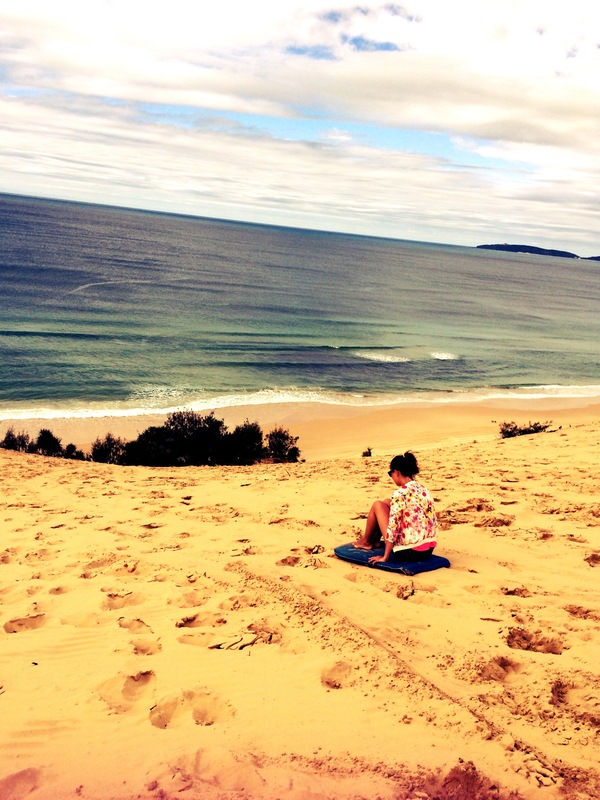 On the second day you will explore the largest coastal sand dune of Down-Under with it’s stunning views. It’s an experience for a life and a moment to remember! Rainbow Beach is a tiny coastal town in Queensland, Australia. It’s a place to skip, because this region doesn’t offer much to see or do. You can discover endless miles of golden sand, where you can try sand surfing. 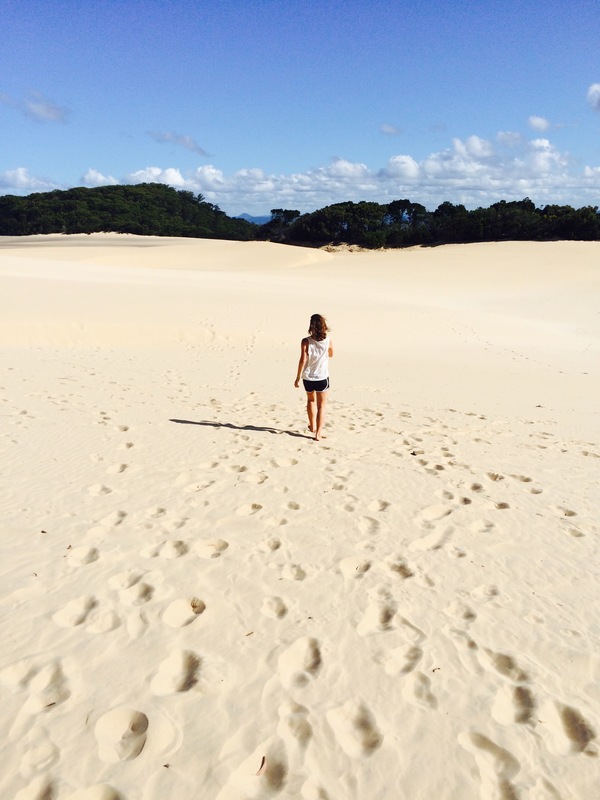 Actually there is only one reason why backpackers are forced to go there is the Fraser Island tour. Another spot not to miss is Wanggoolba Creek, a fresh crystal clear water creek flowing over white sand in a rainforest valley. 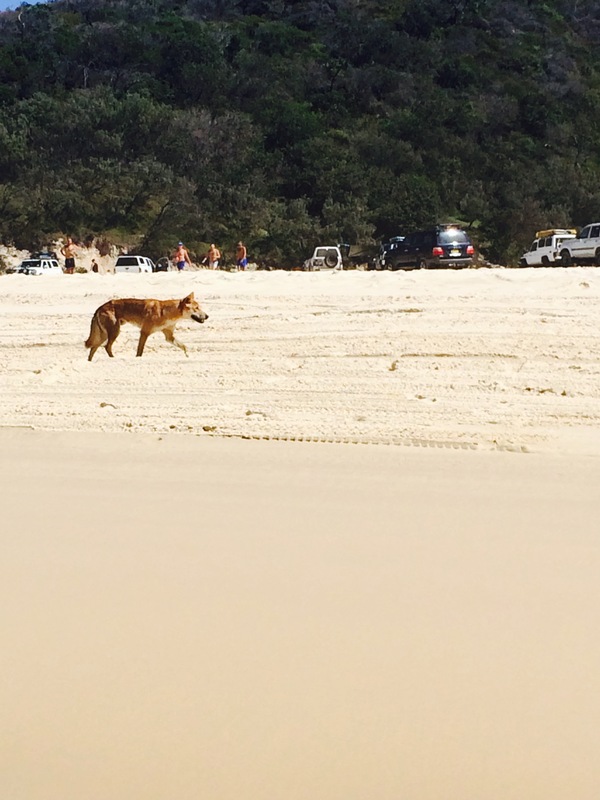 Sometimes wild dogs Dingos running through this place, so you can face that cute foxy dog. 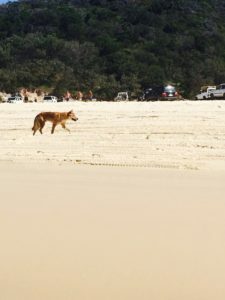 There are 2 different options to visit Fraser Island: to book a tour through an agency or to find a group of at least 4 people and rent a car. The second one is definitely cheaper, the only difference is that you won’t have a guided tour. But probably you can get a map of the island, so you can orientate. Agnes Water or Town of 1770 is a great sleepy and tranquil town that you doubtlessly need to visit. It offers nice beaches with the perfect surfing and sunset spots, beautiful rainforests with thousands of butterflies and creeks with magnificent views. All these amazing things you can see for free if you stay in Cool Bananas Backpackers Hostel. Take a walk through the magical Paperbark Forest or Round Hill Head. You should also visit Horizons Kangaroo Sanctuary, where you can see how kind people are taking care of baby kangaroos. For 10$ you can watch kangaroos and wallabies running freely, you can also feed and play with them. You can even volunteer to help and in return you will be provided with your own double bedroom. Airlie Beach is a beautiful inviting town located in the Whitsundays region of Queensland. It’s a perfect place for travelers, where you can enjoy a good party scene, nice surroundings and a swimming lagoon in the heart of the town. It’s an ideal base for exploring the Whitsundays. From there you can book your boat-tour to the Whitsundays or you can even visit it in a backpacker style for free. There is a harbor with numerous boats transporting people to the Whitsundays, so you can ask them if they need any help, like cleaning the boat or taking care of the guests a little bit. In Airlie Beach I slept in a tropical oasis hostel Magnum. The hostel offers tidy and comfortable rooms, a tiny but good equipped kitchen and a feeling of living in the jungles. Perfect decision to stay there. 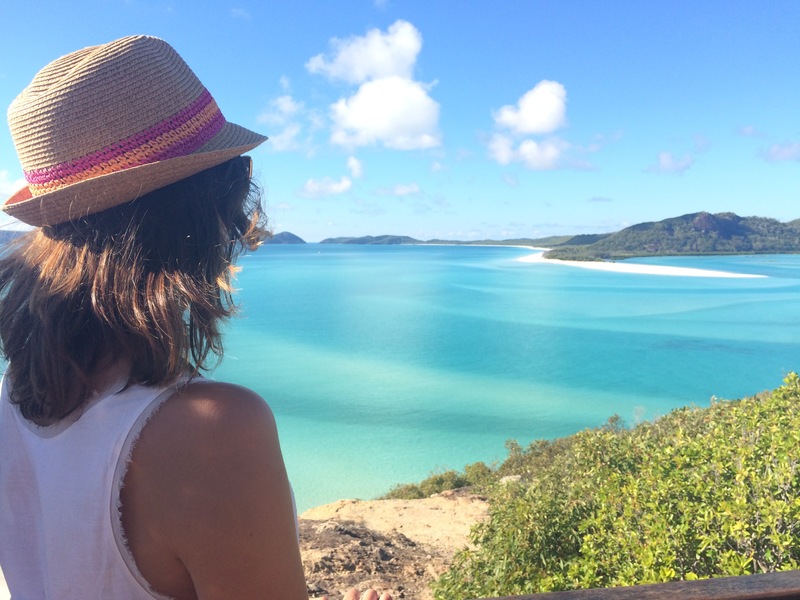 Another must do on your trip to East Coast of Australia is the unforgettable The Whitsunday Islands. 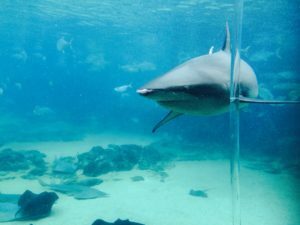 It’s a group of 74 islands bordered by the Great Barrier Reef World Heritage Area and without exaggeration it’s an ideal example how Eden on earth looks like. 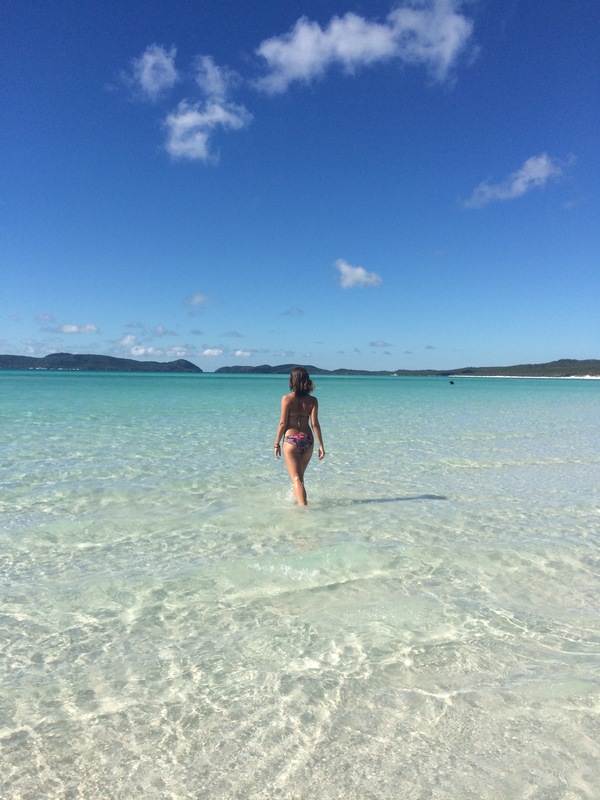 The white sand beaches surrounded by palms and heavenly crystal clear blue water, that’s why one of the spots carries the name Whitehaven Beach. The destination is also perfect for snorkeling. 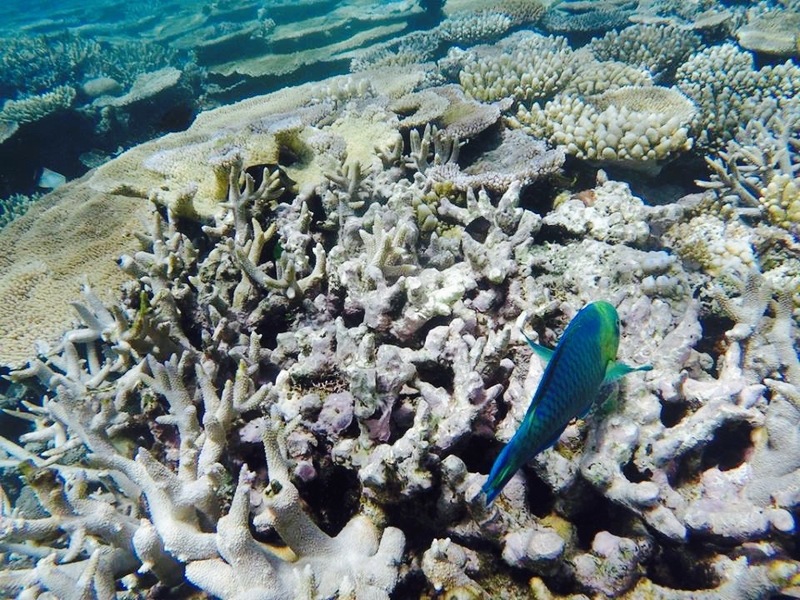 Under the water you can discover various colorful reef fishes and even turtles. So don’t even think twice, you need to see that with your own eyes! Townsville is a tidy, overseeable and relatively modern-feeling city. It offers a couple of museums, huge aquarium and long streets with various dining spots. As almost every other town on the East-Coastline it has a long boardwalk along the beachside with the German-English name “The Strand”. There you can eat in the restaurants or grill on the beach, because there are plenty of BBQ facilities, you can also take a swim at the Rockpool or just have a walk and enjoy the views and happy faces. By the end of the road you will discover the imposing Jezzine Barracks, the museum with the stories related to the history of the Australian Army in North Queensland. There is Kissing Point that leads you to the look out spot, from where you can see Cleveland Bay. Another pride of Townsville is Castle Hill, located in the middle of the city. If you are fitness focused you can take a challenging walk till the top of the hill. The comfortable traveler can reach the summit by car. In the end everyone will be reimbursed with the gorgeous views over the city and nearby islands. From Townsville you can purchase a return ticket for around 30$ for a ferry from the harbor to Magnetic Island. It takes only 30 minutes to get to Maggie and furthermore the ticket also includes a bus drive in both ways, so it’s a super deal! Maggie is famous for it’s highest population of koalas, that you can also see and even cuddle with at the Bungalow Bay Koala Village. It’s a national park where you can take a tour through the the rainforest and see various exotic animals of Australia. It’s also a hostel where you could stay over and enjoy the momentous night of being connected with nature. 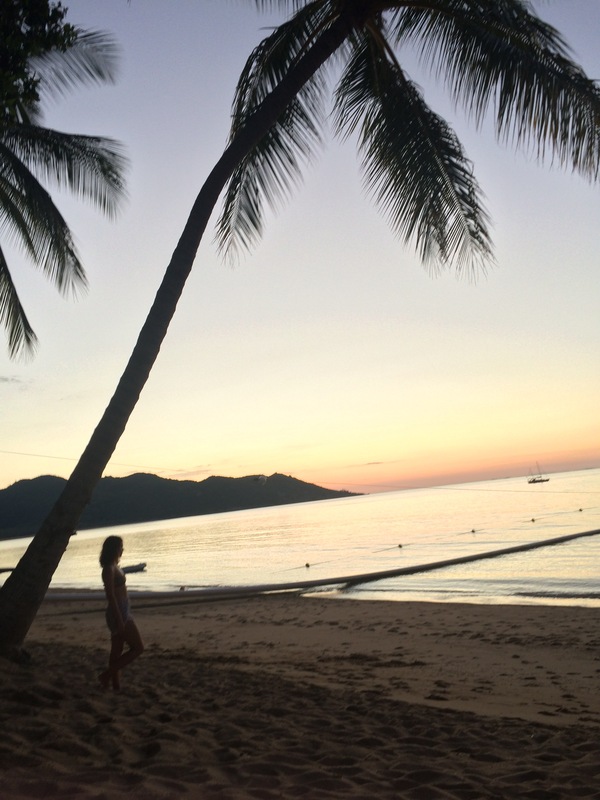 Magnetic Island mesmerizes with it’s beautiful coastal, rocky walking trails and bright turquoise water. 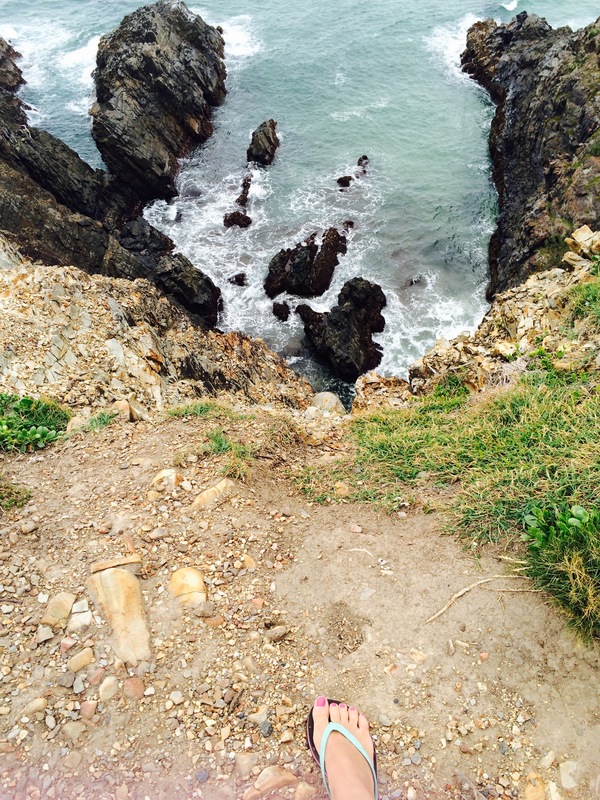 It feels like a real adventure to hike through the mountainous tectonic and discover beautiful hidden bays. If you head down to Geoffrey Bay around sunset you can see and feed numerous of cute rock wallabies. In my opinion one day on Magnetic Island is enough, if you take a ferry in the morning.and then take the last one around 10 p.m. back to Townsville. Townsville is by the way another great city for couchsurfing. So don’t hesitate to get to know locals and save money for further adventures! Cairns is a major city on the east coast of North Queensland (because it has more then only one street) and mostly the last destination for the east-coast travelers. It’s a great sport to meet all people that you got to know while you were exploring Australia’s famous coastline and to spend one more wild and crazy dancing night in the leading Cairn’s youth hostel Gilligan’s Backpacker. Right next door to it is big Rusty’s Market with various fresh delicious fruits for very low prices. 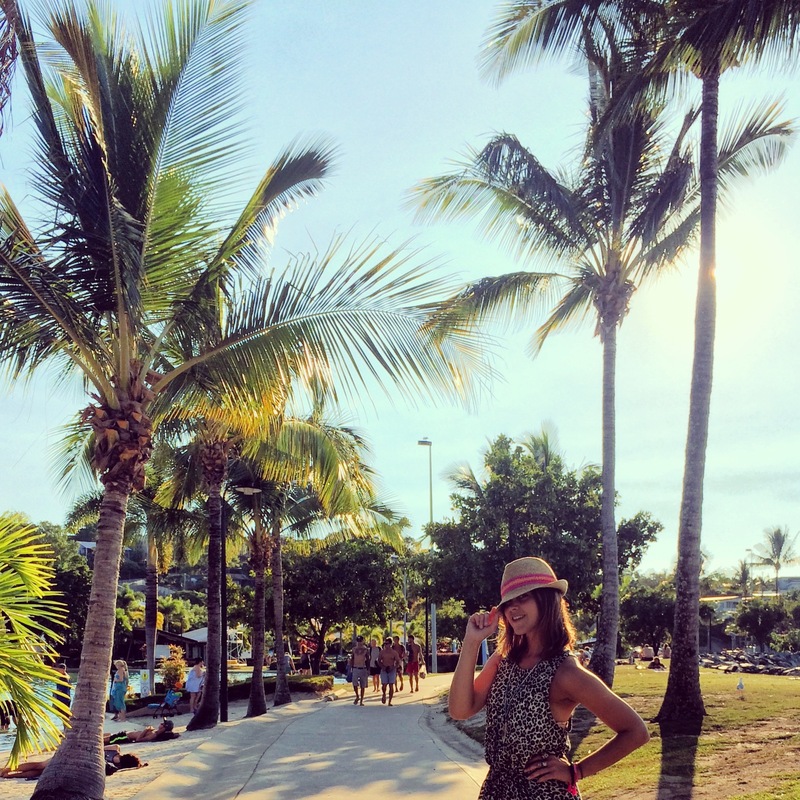 If you’ve been traveling already in Australia, Cairns won’t be a special city for you. It has pretty similar modern buildings like all over the east coast and the size of the tiny town is also not overwhelming. You can enjoy the good weather and some safe swimming with your friends at the Esplanade Swimming Lagoon though. There are plenty of restaurants and coffee shops, so you won’t be hungry. 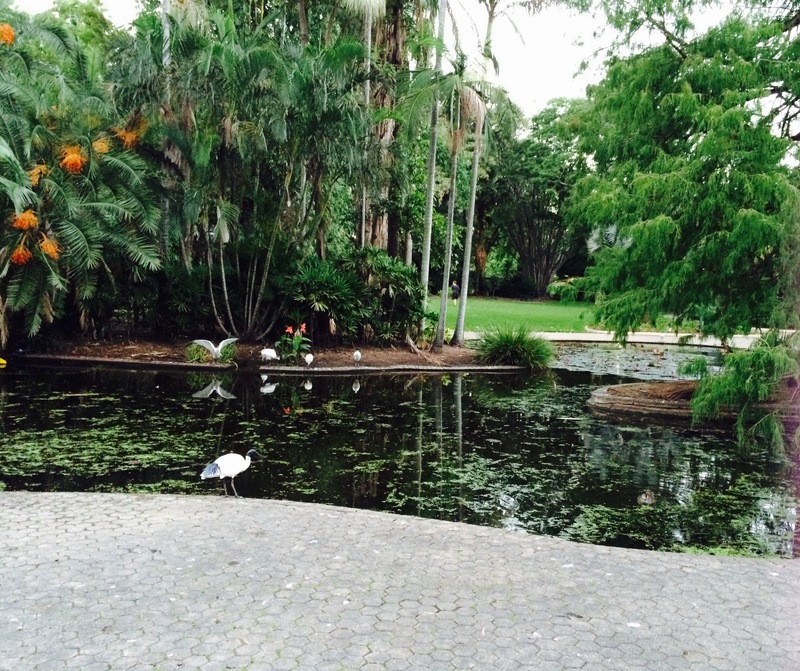 Cairns is a perfect place to do different activities and explore the tropical surroundings. One of them is Cape Tribulation,the region where two great World Heritage sites meet: the Daintree Rainforest and the Great Barrier Reef. The Daintree Rainforest contains the oldest surviving rainforest in the whole world full with diverse unique tropical animals and plants. The Great Barrier Reef is the world’s largest coral reef system and one of Australia’s most remarkable natural gifts. You should explore that unique living organism during the sunny weather. Then you can capture the whole beauty of that creation. Your trip won’t be completed without seeing this natural wonder. 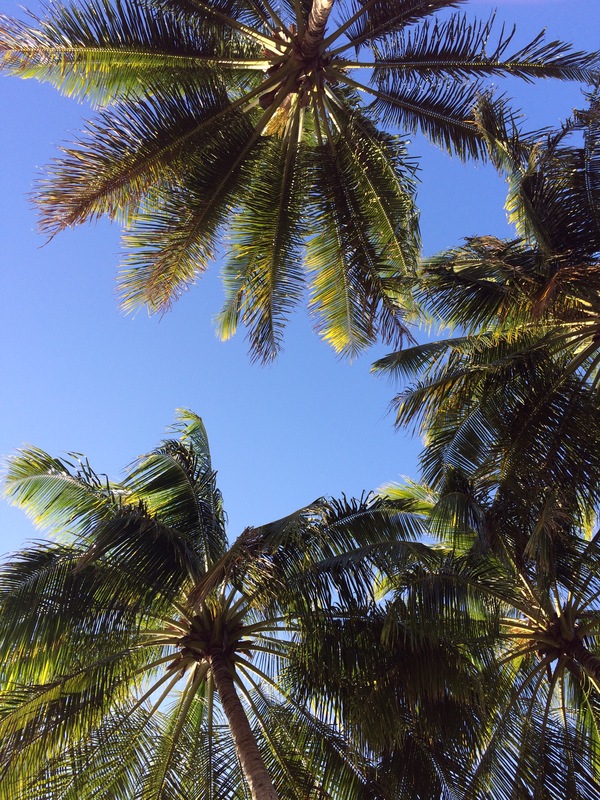 Port Douglas is another great place to visit while you are traveling the East Coast of Australia. Port Douglas is an epitome for paradise with it’s popular and sophisticated five star resorts. It’s a tiny touristic town located approximately 70km north from Cairns. It’s a very relaxing and beautiful place with a close community atmosphere. It’s an ideal place for backpackers to find a well paid job and to have an easy-going life. 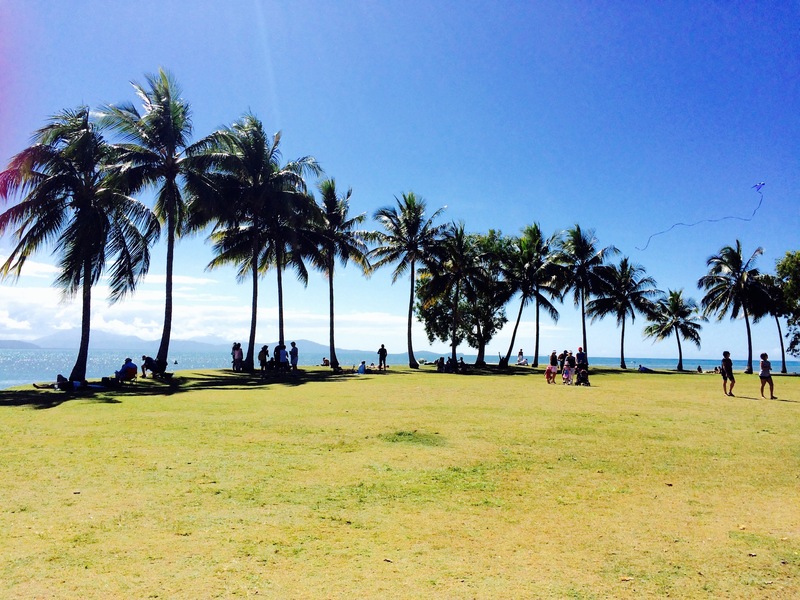 There are plenty of activities to do and places to see in Port Douglas. The little heaven on earth offers you a four miles long beach, where you can enjoy the sun and calm sound of the waves. It’s also a great place to go for a run in the morning and to collect some positive energy. If you face the water and turn to the left side, you will discover stairs, which will lead you to the beautiful look out point. From the top will appear the beauty of Port Douglas in it’s all glory. 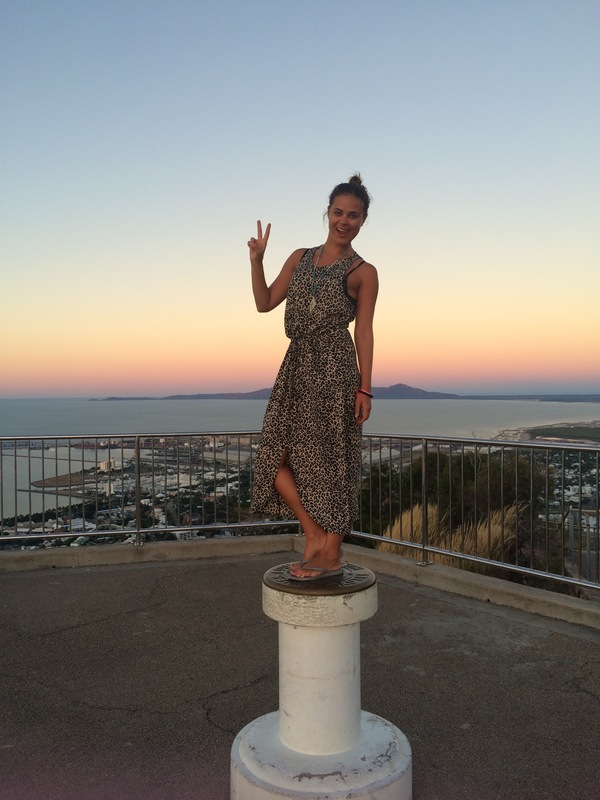 Another famous spot to catch up with a friend and watch a magic sunset is Anzac Park. Perfect time to take some cheese and wine to celebrate great life. After the delightful sunset you can dance the night away at Iron Bar. Due to high popularity and no other options actually you will meet the whole backpacker society there. Port Douglas possesses a scenic harbor known as The Reef Marina. 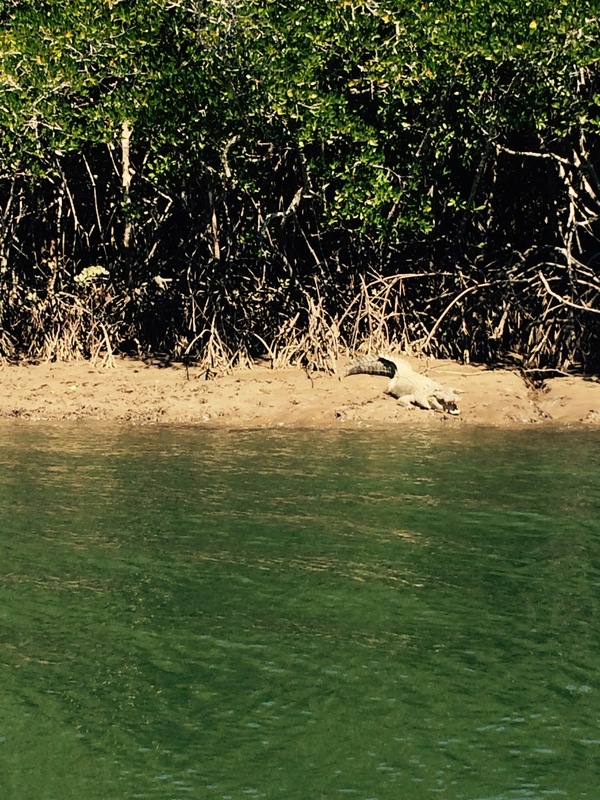 There you can rent a boat with your friends and go to search for crocodiles in the local mangroves. Furthermore you can take your own food, drinks, have a sweet party on the water and even catch some dinner for later: fish, that is, not the crocs. A bit further down the street from The Reef Marina you will discover the Yacht Club, where every Wednesday evening you can participate in a free sunset sailing trip. Perfect activity for the lovebirds. Admiring the commitment you put into your website and detailed information you provide. It’s nice to come across a blog every once in a while that isn’t the same old rehashed information. Great read! I’ve saved your site and I’m including your RSS feeds to my Google account. Thank you, Filiberto! I’m happy to know that you liked my article! Reason to write more of them! Your story was really inrmtoafive, thanks! I really do love Australia! Although I have only really done the theme parks, next time I go I will definitely take reference to your travel spots! 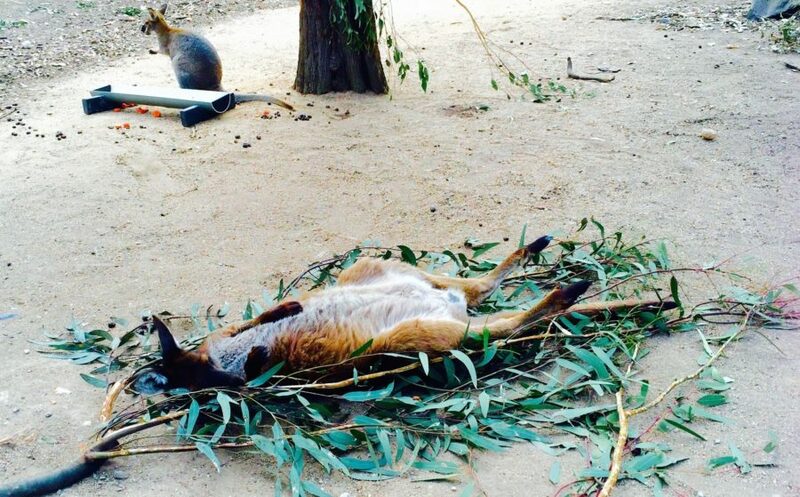 Your post makes me want to book a flight to Australia again. I have been twice but I really wish I would live there 🙂 It’s such a shame it’s so far away from Europe! 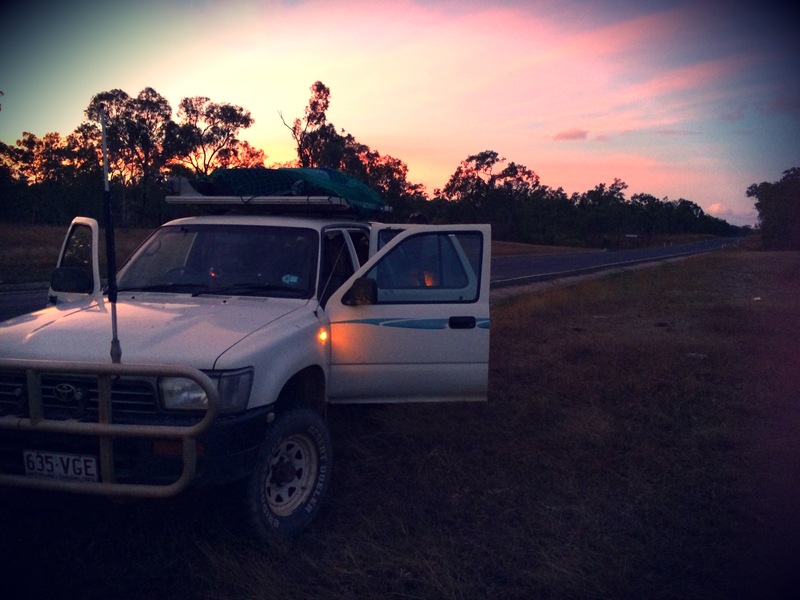 Anyway, great post with gorgeous photos: reminds me of my first road trip with a campervan in Australia. Had no idea that Australia had a hop on hop off bus pass that works across the countey. Soo cool!! I also love that Surfer’s Paradise is not actually good for surfing. Great post!!! Ahhh this has just transported me back to my camper van adventure in Australia. 6 months driving around all these hot spots was the best. 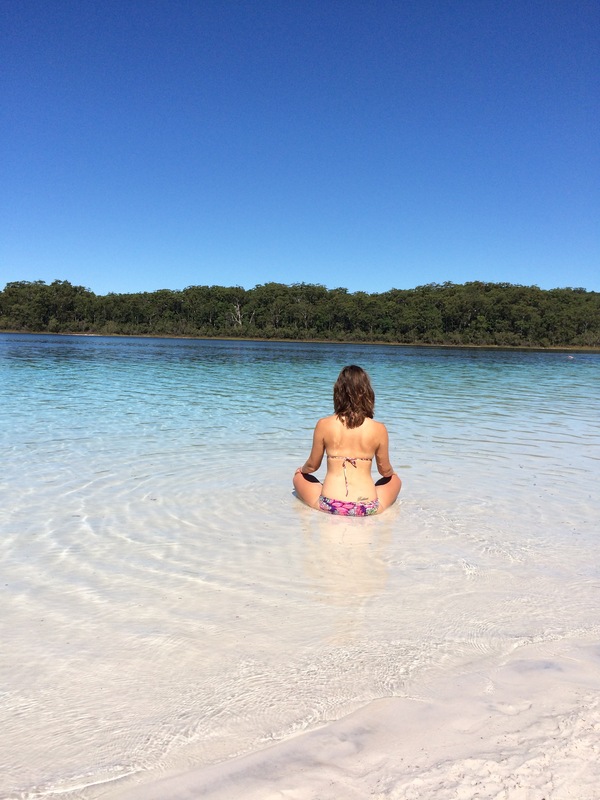 Think you’ve covered the best places – my fave was DEFINITELY noosa of the places you’ve mentioned. Awesome itinerary for any one looking to explore the country. SO timely! I’m doing Brisbane to Cairns starting this Wednesday so will definitely grab some tips from here. Thanks so much!